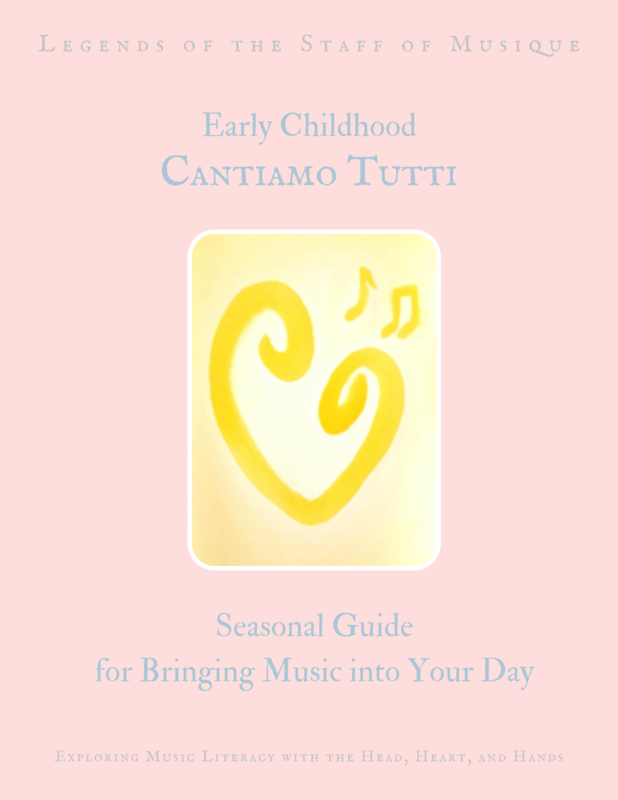 Each season contains an inspiration to inspire you to sing throughout your day. Song recommendations accompany the inspiration, along with sheet music and lyrics to guide you through your days full of music. Take your seasonal inspiration further by creating gentle, home-crafted musical instruments with supplies found easily around the house! Inspire a love of reading with these wonderful picture books with a beautiful, musical theme. Explore beautiful music with quality listening examples to simply enjoy together. Song recordings accompany the guide to help you learn the melody to songs that may be new to you, or to re-familiarize yourself with some old favorites! Recently, wildfires ravaged my home state of California, in which an unbelievable amount of homes were lost. I sincerely believe that music can provide healing in situations like this, so to honor my fellow California families, I have decided to offer Cantiamo Tutti for free moving forward. Please consider instead donating to the California Fire Foundation. This organization supports our local firefighters, and also the many families who may be affected by the fires that affect our great state.